When you go to karaoke in Japan, you usually rent a small room with your friends and sing the night away by yourselves. It's perfect for people who love singing, but don't love performing in front of strangers. It's common for people in Japan to go to karaoke alone, though a whole room can feel empty when you're singing solo. That's exactly why 1Kara was created. But what if you want to sing all by your lonesome? 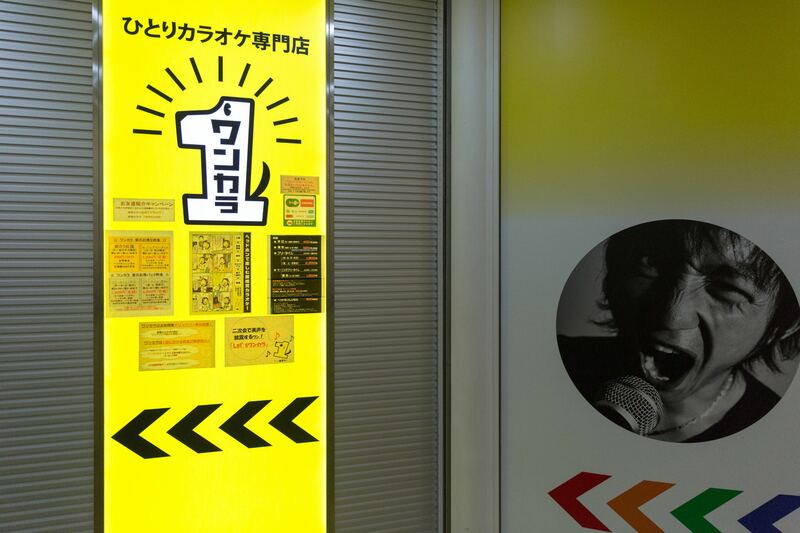 It's common for people in Japan to go to karaoke alone, though a whole room can feel empty when you're singing solo. That's exactly why 1Kara was created. 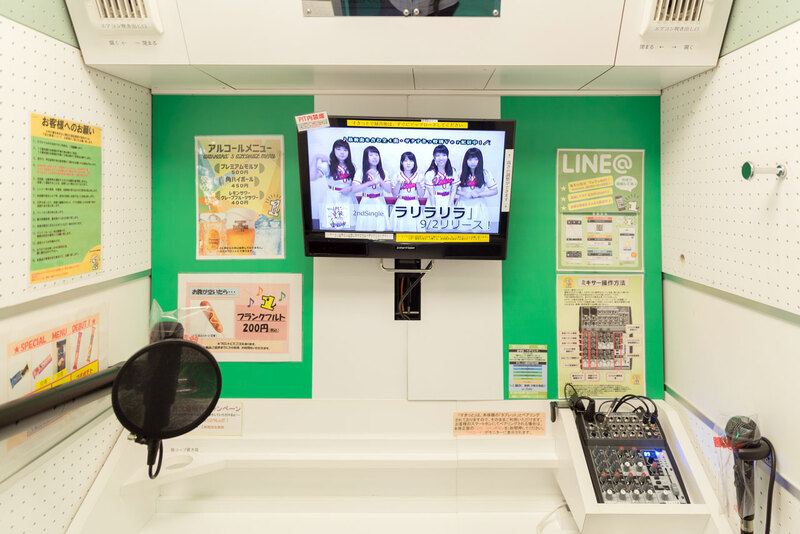 Managed by Koshidaka Holdings, 1Kara is a place where you can rent a karaoke box sized for the solitary and filled with professional audio recording equipment. Koichi, Sean, Viet, and I (Mami) visited a location in Shinjuku to see if singing alone is as wonderful as people in Japan say it is. The idea of a woman living at a comfortable distance from others, so she can become more successful in her career and love life. Before we talk about our experience at 1Kara, I think it's worth explaining why Japanese people go to karaoke alone. Sure, you might just want to practice, but there is a larger culture of solo karaoke that most people outside Japan don't know about. In the early 2000s, journalist Iwashita Kumiko (岩下久美子) coined the term Ohitorisama おひとりさま in her book of the same name. It refers to the idea of a woman living at a comfortable distance from others, so she can become more successful in her career and love life. Many people in Japan are embarrassed to do things alone in public. But Ohitorisama gave people the courage to be comfortable with themselves, which made them relaxed and more successful in other areas of life. The practice of doing things alone became more common, not just for women but for men too. And this impacted karaoke in a major way. Soon hitokara ヒトカラ (short for "alone karaoke") rose in popularity and rooms meant for eight customers were routinely occupied by just one. The karaoke industry couldn't ignore this trend as 20–30% of karaoke customers were ohitorisama at this point. 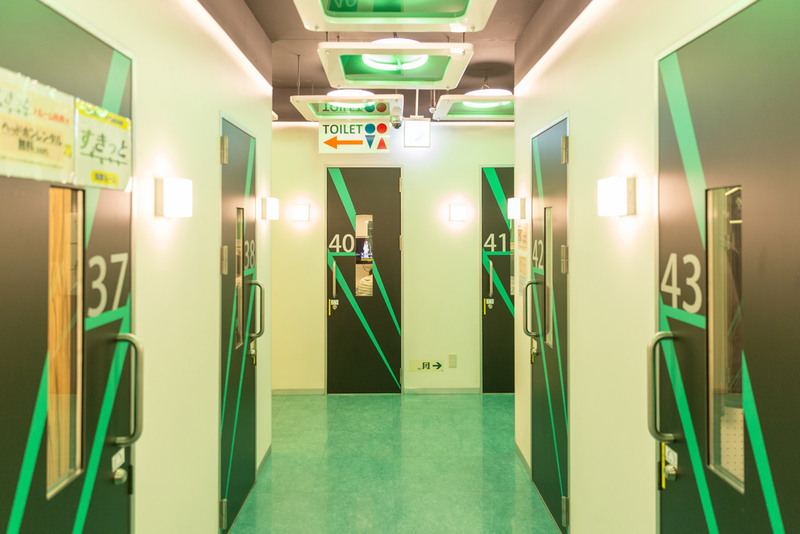 SEGA was the first to offer special hitokara rooms and other businesses followed suit. One such business was 1Kara, which started in 2011. Though the Ohitorisama trend is over a decade old by now, the hitokara business is booming. When we visited 1Kara, it was clear they were raking in the customers and expanding like crazy. When we arrived at 1Kara, the sales manager, Terashima-san, greeted us and promptly said, "sorry." We had an appointment that afternoon, but the place was packed. He ushered us to a room in their office where we could set down our heavy camera equipment while he took us on a tour of the facility. As we entered the office, Terashima told us that part of the space would soon be renovated into another karaoke room for VIPs. The demand for hitokara is so high that the staff are giving up part of their office area just to accommodate more customers. After storing our bags, Terashima started the tour. 1Kara is designed to look like a spaceship, from the hallway to the karaoke rooms and everywhere else. Entering a karaoke room feels like you're sitting at a control panel for some kind musical mission through the cosmos. In fact, each room is called a "pit" (short for cockpit) and the staff is called "the crew." Each room is about 2.5 square meters (27 square feet), but they didn't feel cramped or stuffy. It's just the right amount of space for one person. As we walked through the hallways, we were surprised by how quiet it was. There was absolutely zero sound coming from any of the karaoke boxes! This is completely different from other karaoke places where you can hear customer voices pretty clearly. As we walked through the hallways, we were surprised by how quiet it was. Sure, there was soft Muzak-style broadcasts in various places, but there was absolutely zero sound coming from any of the karaoke boxes! This is completely different from other karaoke places where you can hear customer voices pretty clearly. And even though there is a small window on each door, you can barely see the person inside. "We set this place up so that customers will feel as comfortable as possible," Terashima-san said. "Everyone must wear headphones when they sing and the music won't start unless the door is closed, so there is almost no sound leak; no worries about other people listening to you." I smiled to myself, because it seemed like 1Kara was built just for me. It's wonderful to feel free enough to belt out your favorite tunes without any eavesdropper anxiety. Terashima-san also told us that the doors auto-lock, so no one can creep in while your back is turned. That said, some women still feel unsafe singing alone with their backs to the door. So 1Kara has a "Ladies Only" space. Apparently, this addition evened the number of male and female customers so the ratio is now almost one to one. 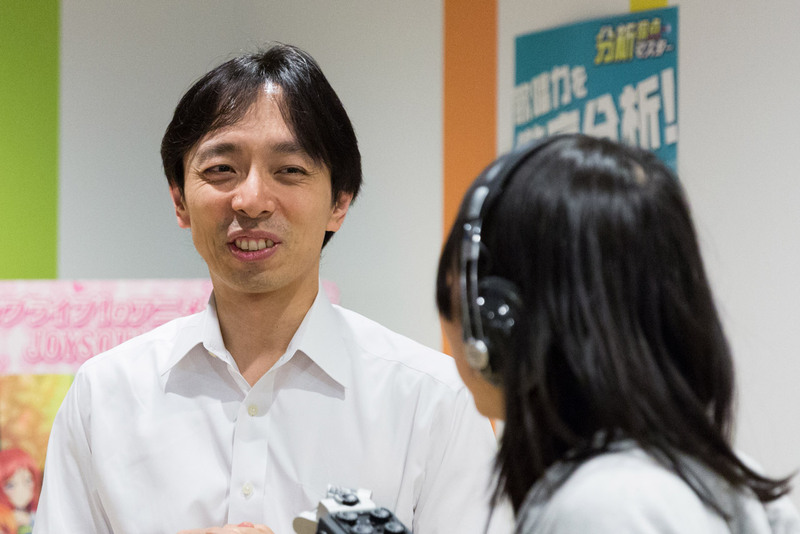 "Each room comes with a stand microphone and a handheld one," Terashima continued. "Some people sit while they sing and others stand, depending on their preference. 1Kara is a place where you can really explore your vocal ability, so we keep out of the way as much as possible." This "non-interference policy" even extends to refreshments. Most karaoke businesses have waiters who bring you food and drinks when you order. But 1Kara has a self-serve drink station, which is included in the price (just like Aisekiya Izakaya). Customers can go get drinks whenever they want, which means waiters won't be barging into your room right as you hit the best part of your favorite Adele song. Of course, the self-serve drink stations don't offer alcohol. For that, you need to order at the front desk and bring it back to your room. The beer, naturally, is not free. There are snacks available too, which you also have to pay for at the front desk. At most karaoke places, you get a call from a staff member giving you a "ten minute warning" when your time is almost over. But at 1Kara, this message simply appears on the screen next to all your karaoke lyrics. Now that's the discrete cherry on top of the privacy cake. After our tour with Terashima, it was time for our Ohitorisama Koichi to sing his heart out, alone in a little box. 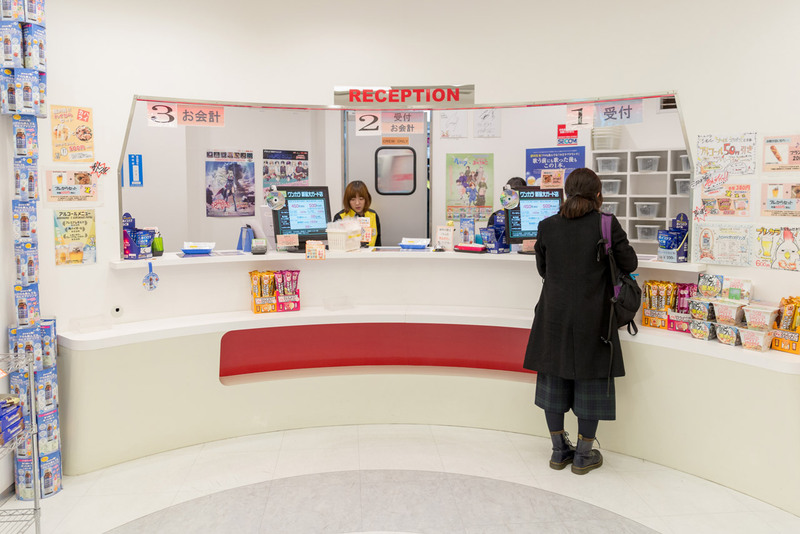 But before he could do that, he had to become a 1Kara member by registering at a machine at the front desk. The one-time registration fee is only ¥300, but you also need a Japanese address and some valid form of ID (a passport will do). Apparently, you can use your hotel address if you're traveling in Japan, but the entire registration process is in Japanese, so make sure you study your kanji! 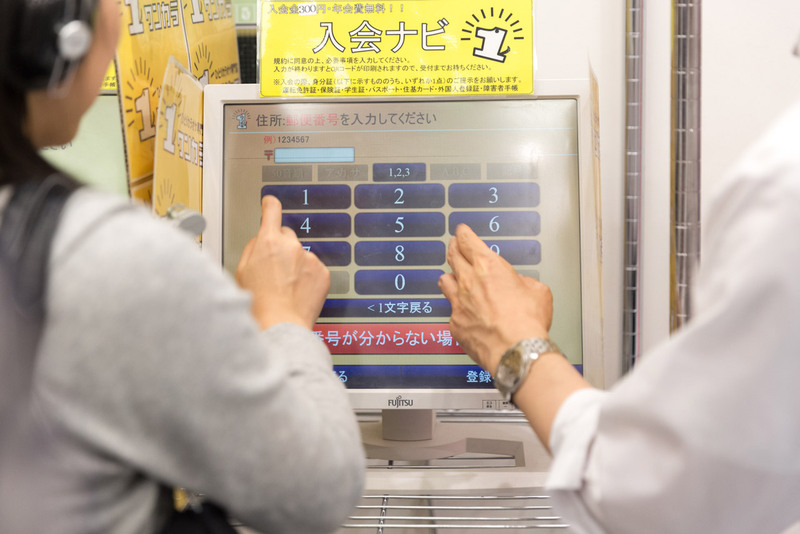 Even though the staff doesn't speak English, they'll always try to help you navigate their registration kiosks as best they can. 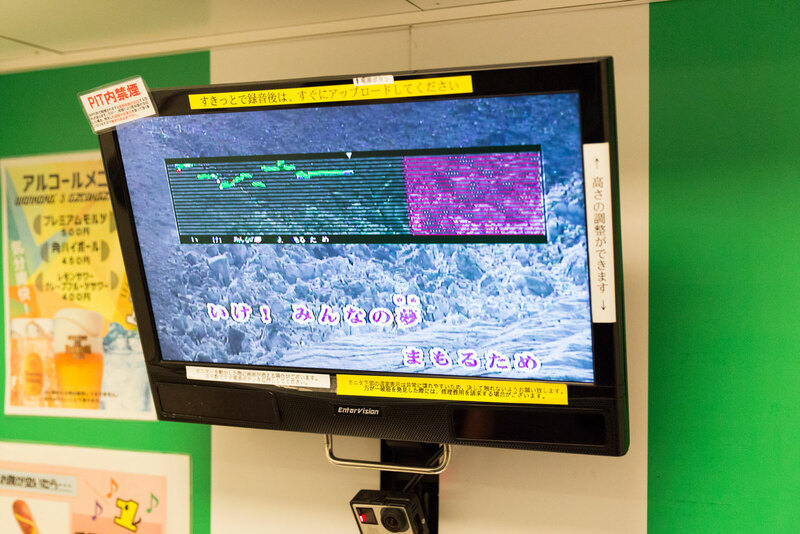 After registering, Koichi paid for a "normal pit" (通常ピット) which cost him ¥500 for thirty minutes. Depending on the time and day of the week, thirty minutes will run you ¥250–500. He bought a "karaoke voice drink" for ¥420 too, so his larynx would be transformed into a crooning machine. Koichi didn't bring his own headphones, so he had to rent a pair from 1Kara. They have a lot of headphone options of various prices and qualities, so you only need to bring your own if you're a super sound nerd. Even though the room was only meant for one person, Viet went in too so he could take pictures. Koichi said it was a little cramped with two people, but probably would have been just fine if he was by himself. The karaoke machines at 1Kara work like any other, but unfortunately, the one Koichi used wasn't great. It was built specifically for 1Kara locations back when the business launched in 2011, so it was older and didn't work as well as machines made by large technology companies like DAM or Joysound. 1Kara uses high quality condenser microphones, instead of the cheap handheld ones you get at most karaoke places. You can even set levels using a sound mixer, so your rendition of Hotel California is pitch perfect. To test out the not-so-great machine, Koichi sang two songs: The Anpanman March and Bohemian Rhapsody. During both, the lyrics scroll was on point, but the 音程バー (musical interval bar), which guides you through the pitch changes, did not match the song. And when he searched for something else to sing, there weren't many songs that he knew. To be fair, Koichi listens to weird music, or no music at all most of the time, so "songs that he knows" is a very low bar indeed. 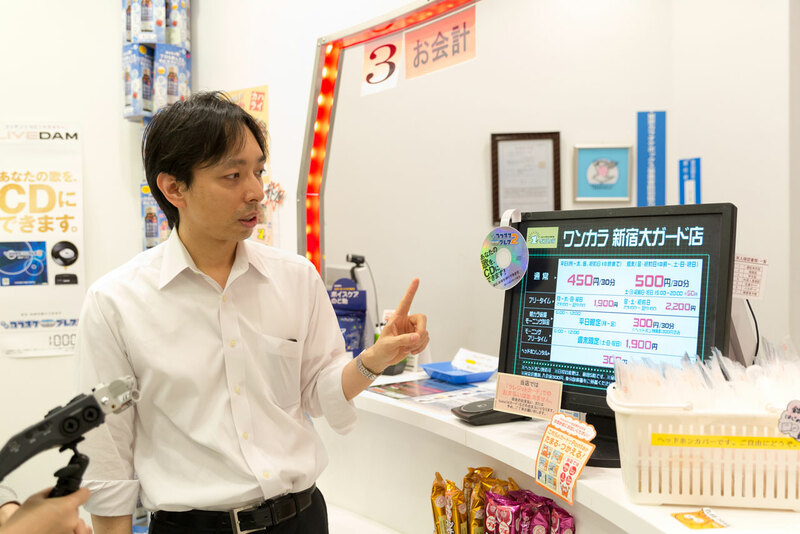 Later, Terashima apologized and told us they have other, newer machines that are more user-friendly for English customers. Rooms with those machines weren't available for us, so when you visit make sure to tell the front desk that you want a room with a DAM karaoke machine (this is one of the newest and best models). But if Koichi has one true karaoke regret, it's that he spent too much time choosing songs and not enough time singing. This can happen at any karaoke place, so we recommend deciding on your songs beforehand, so you don't waste time scrolling through song lists. Karaoke machine aside, all the equipment in the pit was really high quality and professional. A sound engineer could spend hours geeking out. 1Kara uses high quality condenser microphones, instead of the cheap handheld ones you get at most karaoke places. You can even set levels using a sound mixer, so your rendition of Hotel California is pitch perfect. Koichi didn't realize it at the time, but there was a guide for using the mixer in the room. It's all in Japanese though, so you'll have to know a lot of kanji or try to get instructions from this website beforehand. "Why would I go through the trouble of mixing my karaoke if no one is around to hear it?" you may ask. Terashima answered this in the best way possible. "1Kara is not a place for you to have fun with friends," he said. "This is a place to sing songs, so we try to provide the best quality environment for customers to sing." If you really wanted to, you could use all this equipment to record a professional level track. That's why 1Kara offers a service where you can burn a CD of your recordings for an extra fee. Overall, we had a great time doing solo karaoke and it wasn't as lonely as we thought. Even though you're singing by yourself in a tiny room, everyone else is too. You're alone, but you're not alone. The best part: you get to sing what you want, how you want, without worrying about your friends or neighbors. And if you want to take it to the next level and become a karaoke nerd, you can mix your own sound and record a professional level track too. 1Kara isn't stopping at karaoke though. They now offer guitar and drum sets in certain rooms, which is an excellent service for musicians who want to practice but can't because of the apartment lifestyle. There are even online English lessons you can take at 1Kara, so who knows how they'll expand going forward. Next time you're in Japan and feel like you've gotta let your inner songbird free for a couple hours, 1Kara is an inexpensive place to croon those tunes. Just make sure you ask for the newer DAM machines and study up on sound mixers. If you’re really into karaoke and practicing it beforehand, 1Kara looks great. But, it just wasn’t for me. I go to karaoke to sing badly with friends, not impress them. I thought the concept was cool. It looked well equipped with Audio Technica (for you audiophiles out there). I thought it was a cool place for people who want to practice karaoke alone or let go of some stress, but are too shy to sing in front of the others. The price was reasonable too. Easy access from Seibu Shinjuku Station; you can take an underground passage and never step outside. No distractions, so you can focus on singing. Lots of safety and privacy.